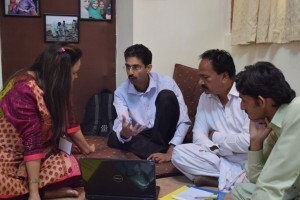 Community World Service Asia conducted a six week residential training course on Proposal Writing in collaboration with Indus Consortium (IC). This course aimed to give participants the knowledge, techniques and tools used for writing winning project proposals, allowing participants to gain analytical and practical skills on project proposal writing. 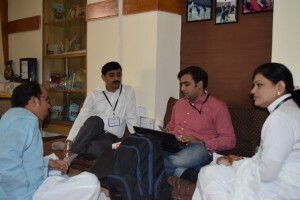 It was conducted at the locations Murree and Islamabad from September to November 2015. The first part of the Proposal Writing course was held in Murree, and was attended by seventeen participants (13 Men & 4 Women). 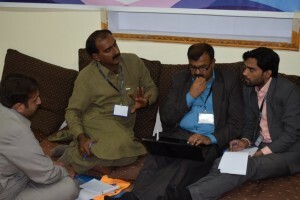 It entailed a variety of learning methodologies to address different learning styles through various interactive discussions, group work, case studies, quiet reflection and detailed lectures. The course enhanced the knowledge of the staff members of IC partner organization on the topic of Project proposal writing and its implications on the effectiveness of project. At the start of the training a pre-test was conducted to gauge participants understanding upon the topic. During the course the participants were divided into sub groups, which remained intact till the end of the training. However, temporary groups were made for completion of the given assignments. This combination of temporary and permanent groups allowed the participants to have more interaction and learn from each other to the maximum. Review of the previous day was an essential component of the training. A salient feature of the training was that it demanded active participation of all participants, making the learning a two way process. All the participants were lead through proposal writing stages practically and made to play vital role in success of projects. Essential and regular feature of the training was trainer’s evaluation by the participants. These exercises were aimed to judge the understanding level of participants and their needs, monitoring the sessions, maintaining a regular feedback and to gauge the level of learning taking place. A special effort was made to introduce new methods and tools of evaluation and warm up exercises (ice breakers and energizers) to keep the interest of the participants alive and to familiarize them to the maximum number of methods and tools. 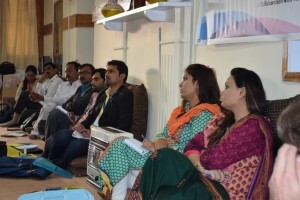 A lessons learned event was conducted in Islamabad in 4th November 2015 to share their Proposal Writing experiences. Participants shared that gathering correct information for the proposals was a great challenge; however they relied upon data / information provided by the state department/s and authentic sources. Developing LFA was another challenge which they overcome through online consultation and group coordination. The biggest lesson learned was working in groups as a team. The participants were able to identify five proposals which if submitted could land them further projects upon approval.